Copyright fundamentals: Are you breaking copyright law? As Barbershoppers, we have the best interests of all at heart - quartets, chapters, and the barbershop composers and arrangers who make our music possible. When the complexities of copyright come into play, it’s important to establish and maintain compliance with laws that are in place. These legalities ensure that composers, songwriters, and arrangers are justly compensated for the fruits of their labors. 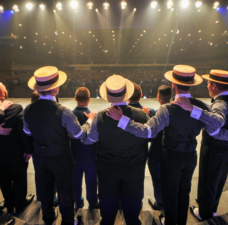 Without their talents, it is hard to imagine where we would be as singers and musicians, and where barbershop music would be today. 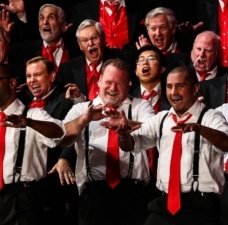 Janice Bane, manager of the copyright and licensing department at the Barbershop Harmony Society shares some insight on copyright practices and how we can continue performing without breaking the rules. 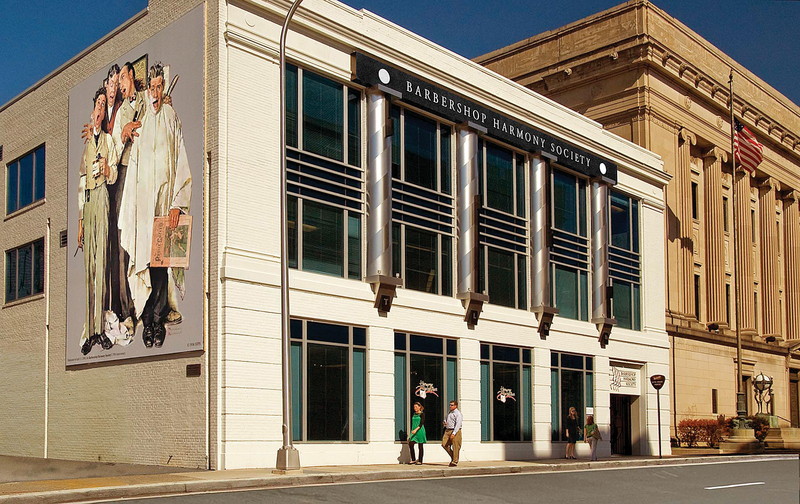 Please note that the Barbershop Harmony Society is simply an informational resource. This is not legal advice. If you find yourself in need of this, please consult an attorney. Q: Let’s start with the elementary basics. What is copyright, and what sort of work is protected by copyright? * The right to Reproduce their work in copies or sound recordings. * The right to prepare Derivative works based on their work. * The right to Distribute copies or sound recordings of their work to the public. * and for Sound Recordings, the right to perform it publicly by means of a digital audio transmission. Any content that a U.S. citizen creates — whether as a musician, a composer, a lyricist, etc. — can be protected under U.S. copyright law. You then have the right to control who or what entity can utilize your original created work. You also have the right to sell outright or assign specific rights of your work (or all of them) to another person or entity. Do you have a copyright that you’ve been wanting to protect? Please visit Copyright.gov for information and instructions. Q: Do I have to get a new clearance for a parody arrangement? 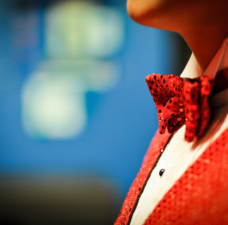 A: The performance of parody is covered under the First Amendment to the U.S. Constitution (Free Speech). 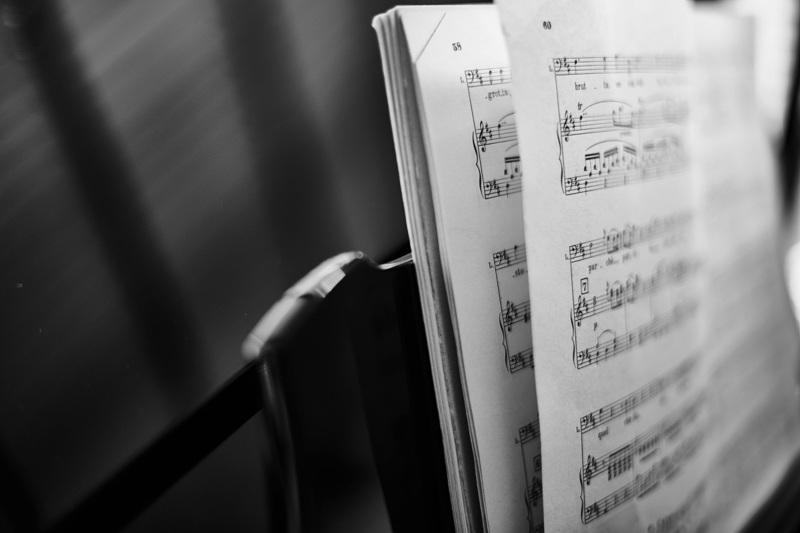 However, for a sheet music arrangement, the original song should be legally cleared for permission to arrange/reproduction in print, and then any parody lyrics for rehearsal kept separate from the arrangement manuscript. They are not to be incorporated into the notation unless the copyright holder specifically gives permission to do so. In most cases, they will not grant this permission. Q: Can I make a barbershop arrangement of a song that is copyrighted? A: Yes, but only with the permission from the copyright holder of the song. Want to make a barbershop arrangement of a song from the musical Hamilton? You must get permission first! Complete our permission to arrange form conveniently found at our website, forward to library@barbershop.org, and the Barbershop Harmony Society will be happy to assist you with your clearance order! Q: Why do I have to obtain copyright clearance of a barbershop arrangement for my quartet or chorus to use in a contest? A: For songs under copyright, an arrangement that is created is considered a derivative work under the law; therefore, the owner of that copyright must give you permission to create that arrangement. Copyrighted music is an asset, and permission must be granted by the owner of that asset to use it. Q: Is it permissible to print words only on a one-time basis, such as in a concert program, or on an overhead projector during a performance? A: No. You must secure permission from the copyright holder of the song. Contact library@barbershop.org if you need assistance or more information on this process. 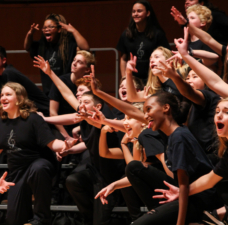 Q: Can I buy one copy of a piece of music from a publisher like BHS and make multiple copies for my chorus or quartet? A: If the sheet music is available for sale, you should purchase one copy for each singer in your group that’s using the arrangement. If the arrangement is published but out of print, you can seek reprint permissions from the copyright holder. If the arrangement is unpublished, you must have the arrangement cleared (legalized) for your group’s use. (Follow up Q): But I saw photocopies of music in my church/school/library? A: I try to believe and assume that permission was granted to make those copies to prevent me from going nuts / worrying about it! Photocopying music without permission is illegal and considered copyright infringement under US copyright law. If you see a teacher, director, or any musically affiliated associate with a photocopied piece of music, you should ask if the copy was legally cleared, in the public domain (published before 1923), or considered “Fair Use”; if not, please stand up and say something (politely of course). This is sometimes a gray area because music that is considered “fair use” can be photocopied without prior permission in certain settings and circumstances (more information on fair use and public domain in a bit). Many educators believe they are automatically protected, but that is not always the case. Q: Let’s elaborate on the term “Fair Use.” What is Fair Use and how does that tie in with my copyright restrictions? A: In its most general sense, a “fair use” is any copying of copyrighted material done for a limited and “transformative” purpose, such as to comment upon, criticize, or parody a copyrighted work. Such uses can be done without permission from the copyright owner. The definition of “Fair Use” in copyright law sounds ambiguous or vague, and millions of dollars in legal fees have been spent attempting to define what qualifies as a fair use. There are no hard-and-fast rules, only general guidelines, and varied court decisions because the judges and lawmakers who created the fair use exception did not want to limit its definition. Like free speech, they wanted it to have an expansive meaning that could be open to interpretation. Most fair use analysis falls into two categories: (1) commentary and criticism, or (2) parody. When in doubt, ask permission! Q: What is public domain and how does that tie in with my copyright abilities? A: A public domain work (as of 2018) is a work that was published prior to the year 1923. A public domain work can be used by anyone at no charge, and the copyright in that use typically lies with the user. For example, if you were to make an arrangement of the public domain song “Dear Old Girl” (1903), you can copyright your unique, original arrangement, but the song itself would remain in the public domain for others to also create additional unique, copyrightable works. Q: Are there different copyright rules for live performances and video or audio recordings? Regarding live performances rights, permissions for most songs are licensed through ASCAP (www.ascap.com), BMI (www.bmi.com), and/or SESAC (www.sesac.com). 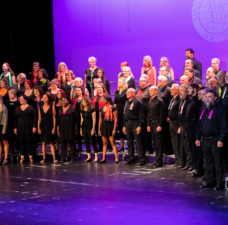 Our own member chapters submit show reports and fees to their Districts and to the Society to process and forward to ASCAP, BMI, and SESAC on their behalf to maintain compliance for live performances. Regarding the duplication of audio copies — either as a physical copy (compact disc) or digital copy (mp3 downloads or equivalent file type), those involve mechanical rights permissions which are secured either from the copyright holder directly or through their authorized agent, such as the Harry Fox Agency (www.harryfox.com). Regarding the duplication of video copies — either as a physical copy (DVD/VHS) or digital copy (mp4 downloads or equivalent file type), those involve synchronization rights permissions which are secured typically from the copyright holder directly. Have you broken copyright law? You may be saying, “Ugh… yeah, we definitely have.” Now that you have read this article, you are better informed, so in the future so you won’t make the same mistakes again. You are educating yourself and staying up-to-date because you care about all music and those who have rights, too. We’re all in this together, and remember: when in doubt, ask permission! Questions? Our team at BHS can help with copyright clearance questions and concerns at library@barbershop.org.